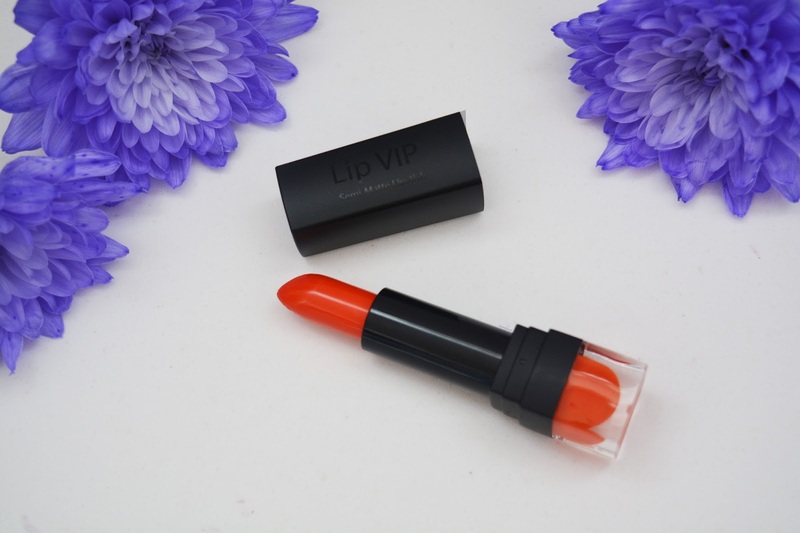 I have always been a bit scared of bright lips, I dabble in pinks and reds, but up until now I have never used an orange lip and I was both nervous and excited to think about trying one. I plunged myself head first out of my comfort zone and got a bright orange lipstick. Not just this, but I have also forced myself to wear it this summer, and let me tell you something. It was a lot less scary than I imagined. The packaging of the lipstick is a beautiful matte black tube with the Sleek logo on the side in a glossy black font to be subtle while standing out. The end of the lipstick is a clear cube which has a dome of the lipstick within it to show the colour of the lipstick without having to remove the lid. I love this idea, as when I dig around in my beauty drawers and my lipsticks all look the same I can never find the one I want so its great to see the shade like this. I picked the shade Flaunt it as it is a bright orange which was true to what I was looking for. It is described on Boots as a 'punchy orange' and I have to say it definitely packs punch! With rich intense pigmentation the lip colour applies easily and smoothly without the need to build up the colour. 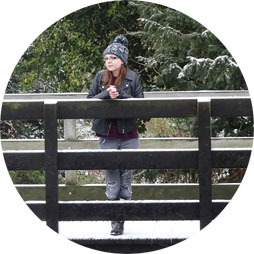 This lipstick is a cream finish so it isn't matte, and it does have some shine on it, however it is lovely to have a mix of finishes and I think for summer, when I would wear this most, it will look lovely with a bit of a shine. Although the colour is a cream finish and doesn't dry down to a transfer proof finish, it holds up well on the lips and works well to stay in place. I did find that when I was wearing this it left a full lip print on the cup I was drinking from, but the colour still looked really good on the lips and held up well. 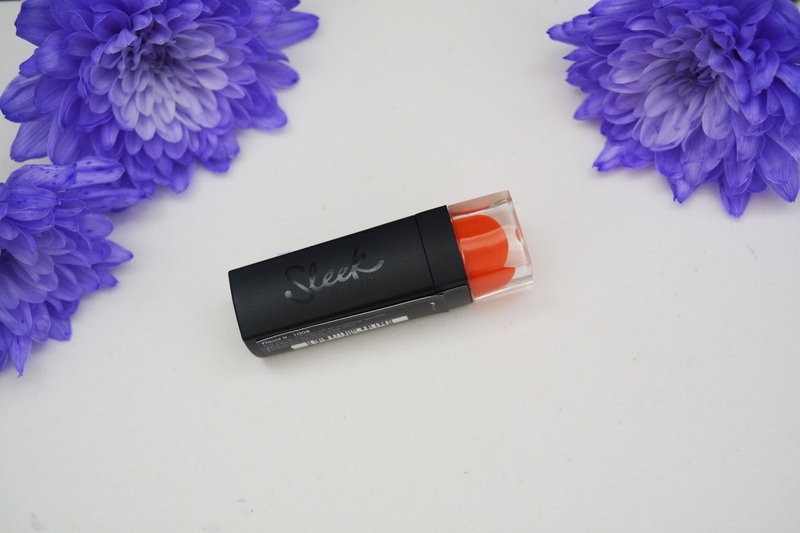 I did find the transfer was a little annoying after being used to matte lips for months, but it wasn't too bad and definitely no worse than any other lipstick, it just looks a shock being bright orange. The transfer means the I do feel it needed reapplying after eating, but I think I'm just a crazy eater as mine never hold up, so lets not judge it completely on that! Overall I really like the formula of this and think it looks so lovely on the lips. It is bold and bright and has amazing colour pay off, as I hoped it would. I don't imagine I will get much use from an orange so I wanted to find one that worked really well so I didn't feel a need to buy another one. I definitely think this one is exactly what I was looking for and at just £5.49 on Boots here, it was a really reasonable price to get and test out and I am so glad I picked up this one as I know it will be a formula that I enjoy using over time as it is creamy and moisturising while having a lot of colour pay off. I love the formula, and I can see me investing in more shades from the range! Whats your go to bright lip shade?